Engy Abdelkader teaches international human rights at Rutgers University. She has dedicated her path-breaking career to advancing social justice issues, from religious freedom and racial equality to the rights of immigrants, women, and children. She has collaborated with the UN, U.S. State Department, Organization for Security and Cooperation in Europe, and the American Bar Association, among others. Representative scholarly publications include When Islamophobia Turns Violent (Georgetown), A Comparative Analysis of European Islamophobia (UCLA School of Law), Muslim Americans (Berkeley Law), A Comparative Analysis of Islamic Jurisprudential Approaches to Female Judges in the Muslim World (Fordham University School of Law), Anti-Muslim Ads, the First Amendment and the Efficacy of Counterspeech (Berkeley Law). Her writing has appeared in CNN, HuffPost, TIME and the Christian Science Monitor and numerous other outlets. 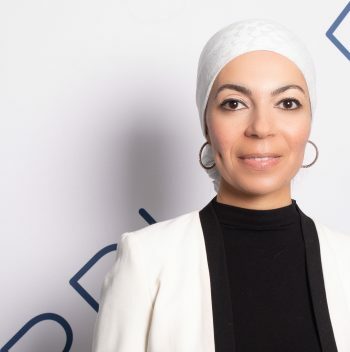 Abdelkader holds two U.S. law degrees including credentials from the University of Pennsylvania Law School where she served as a Constitutional Law Teaching Fellow and graduated with the highest honors.